Mizore Yoroizuka plays the oboe, and Nozomi Kasaki plays the flute in Kita Uji High School concert band. 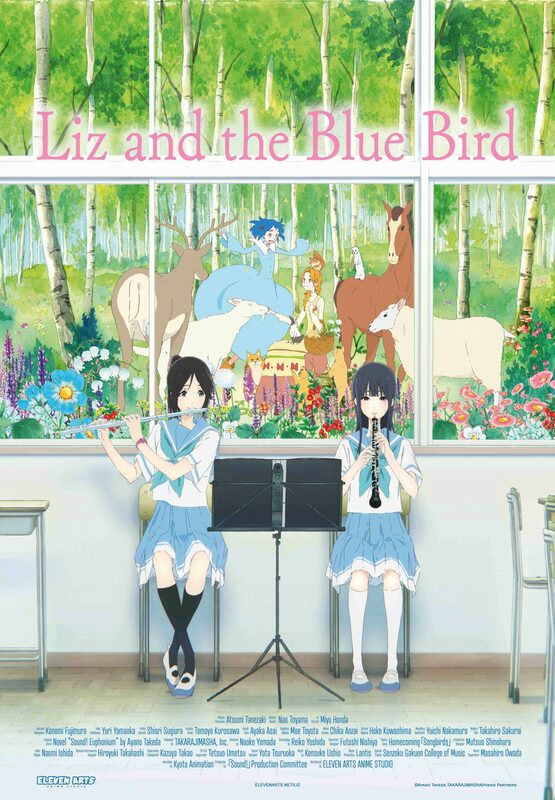 As seniors, this will be their last competition together, and the selected piece “Liz and the Blue Bird” features a duet for the oboe and flute. By all accounts, the girls are best friends, but the oboe and flute duet sounds disjointed, as if underscoring a growing distance between them. Talk of college creates a small rift in their relationship, as the story evolves to reveal a shocking and emotional conclusion. More great Winterfest 2019 programming announcement coming your way. Stay Tuned! Winterfest Traditional Fashion Show Applications Open!